Community groups, government offices & non-profit organizations (NOT for personal use). Community events held only in Ottawa, Sandusky and Seneca Counties. FREE. No charge to borrow containers. Groups must fill out the form below. Containers must be returned by the following Wednesday after the event. per event. The District will also provide clear durable bags to assist in the collection of materials. for details about this option. Participants are required to sort and recycle materials at their convenience. Recyclables can be taken to any Aim to Be Green Recycling Drop-off site. To view a listing of available sites in your area, please click on: Aim to Be Green to link to the Q&A Recycling Drop-off Program page. The District is not responsible for recycling the materials collected during the event. A $50.00 fee will be charged per unit if recycling container(s) is damaged or not returned. 419-334-7222 or toll free at 1-888-850-7224. Jamie can also be reached by email at jcoleman@recycleoss.org. 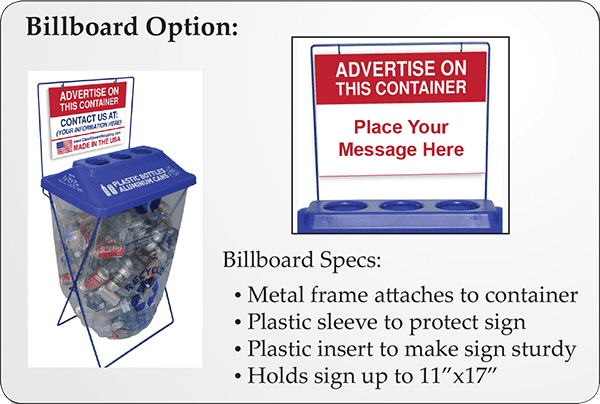 To request your containers, fill out the form below. How many of Container #1 would you like to borrow? 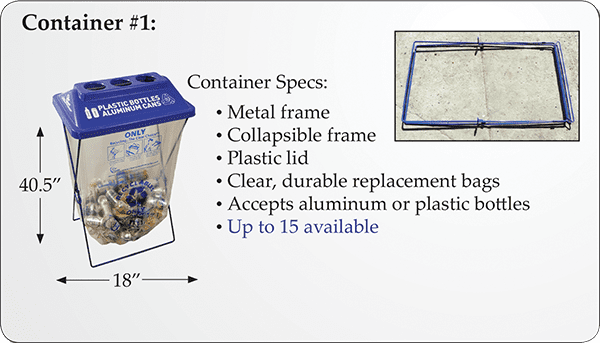 What material would you like to collect with Container #1? 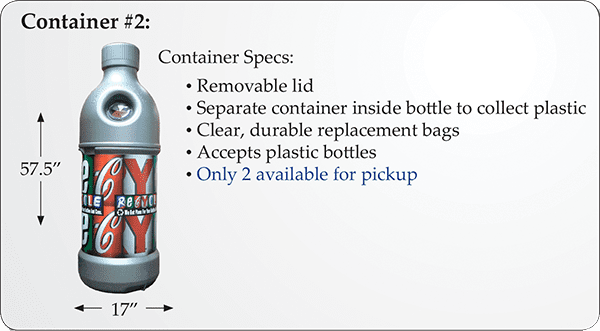 How many of Container #2 would you like to borrow?